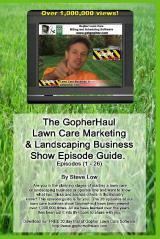 « The best way to get lawn care customers fast! If you are not very sociable in person, it may be easier for you to be sociable on the internet, especially when you see how networking online can bring you plenty of business. 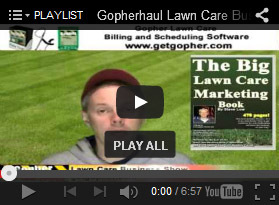 In this discussion on the Gopher Lawn Care Business Forum, we see how one new entrepreneur was able to utilize facebook to review what friends and friends of friends did for a living. 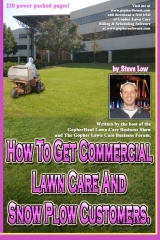 Then contact those who worked at such jobs as commercial property managers to line up some big commercial mowing jobs. 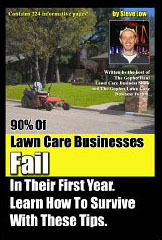 One lawn care business owner wrote “I am firefighter who has recently started up his own mowing business. I’ve got bills to pay, I’m a hard worker, fairly intelligent and I love being outside so I figured this would be the perfect fit for me. 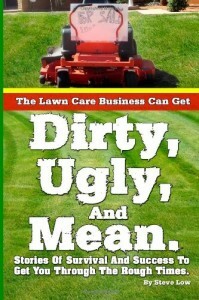 I plan to be very successful with this company. 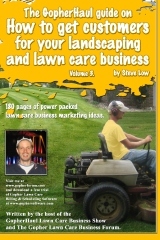 I know that if people know I am a hard worker, honest, and a firefighter I should have little problem getting business. I figure I should play the firefighter card to my advantage. I have two partners who are also firemen and we all work on different shifts. It should help spread the work out more evenly. 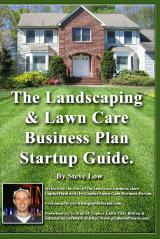 At the moment we have been able to land 6 residential mowing accounts and are picking up side jobs almost on a daily basis. 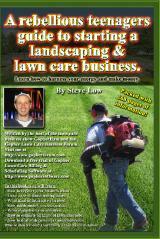 We are getting calls for everything from pressure washing to gutter cleaning to irrigation installs. All three of us are equal partners. The trust is there but just to cover our butts I had an attorney draw up an LLC for us that I took to the probate judge and had it activated. We do not have any employees as of yet. We would like to do most of the work ourselves at first if at all possible. Until such time that we are forced to hire help. 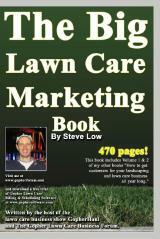 Using FaceBook to get more lawn care customers. Today I may have hit the jackpot with a local property manager I networked with through facebook and I will find out by the end of the week if I get their 13 commercial properties. I saw him through a friend’s page and noticed what he did, then let him know that if he had the work, I would have the insurance, workman’s comp, w9, as well as the man power and equipment to do anything he needed. He did ask and I gave him a bid on one of his properties this morning for $2,500/month. He also said he will be introducing me to the head of the local apartment association manager. 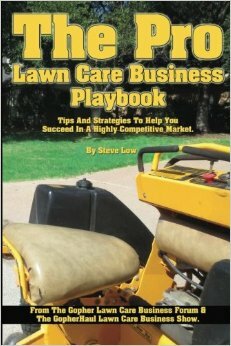 Through another facebook connection I was able to get a sit down meeting with the owner of the largest chemical lawn company in our area. It was very productive! 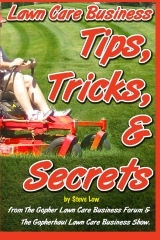 He has thousands of customers and many of them call him asking if they do turf management as well. He want’s to send that business to us just because he likes what we are doing and likes that we are young and energetic. The crazy thing about it is he saw a facebook fan page that I made and he saw that we were firefighters and he just sent me an email and asked if he could take me to lunch. I responded and asked if the three of us could instead take him to lunch and pick his brain. I guess we just kind of hit it off and struck up a friendship. 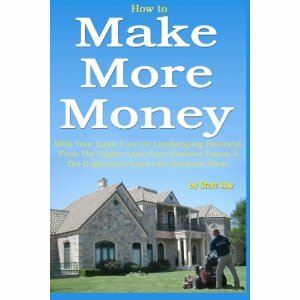 I also offered to do some landscaping in his yard for the cost of materials. I also scheduled a walk through with a property manager of a commercial building in the area for tomorrow morning before I go and clean out some gutters that need to be cleaned. I told him I wasn’t going to undercut the prices of the company that they have working for them now and I didn’t want to know what they were paying them. I want to go in and draw my own conclusions on what things will cost and what will be included in the estimate and submit it. That way I figure if he likes what I can do for him more than the other guys then he may hire us next time. 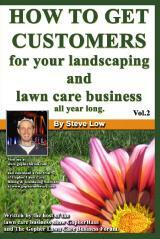 I refuse to undercut another company to try and take their business. 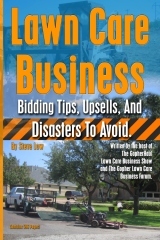 This entry was posted on Saturday, January 11th, 2014 at 1:18 am	and is filed under Commercial Customers, How to get, How to sell, Internet, Lawn Care Business, Lawn Care Customers, Lawn Care Marketing, Marketing, Partnership, Referrals, Residential Customers, Scheduling, Start up, Website. You can follow any responses to this entry through the RSS 2.0 feed. You can leave a response, or trackback from your own site.